Take delight in the Tateyame-Kurobe Alpine Route! Lavish on the beautiful sceneries of the snowcapped mountains, stunning wall of snow that can be as high as 20 meters, feel the breeze and capture precious moments on the Kurobe Dam. This route goes through Tateyama in the Hida Mountains with many scenic sites as well as walking trails, including Japan’s largest dam, Kurobe dam. Take a stroll and be awestruck by the majestic snow corridors and panoramic bird’s eye views now! Nagoya (名古屋市 Nagoya-shi) is the largest city in the Chūbu region of Japan. It is Japan’s third-largest incorporated city and the fourth most populous urban area. It is located on the Pacific coast on central Honshu. 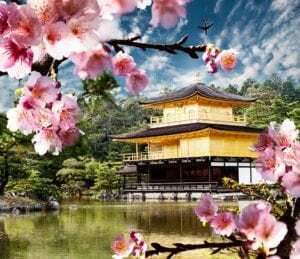 It is also the capital of Aichi Prefecture and is one of Japan’s major ports along with those of Tokyo, Osaka, Kobe, Yokohama, Chiba, and Kitakyushu. The Shirakawa-go (白川郷, Shirakawagō) and neighboring Gokayama (五箇山) regions line the Shogawa River Valley in the remote mountains that span from Gifu to Toyama Prefectures. Declared a UNESCO world heritage site in 1995, they are famous for their traditional gassho-zukuri(constructed like hands in prayer) farmhouses, some of which are more than 250 years old. Takayama (高山) is a city in the mountainous Hida region of Gifu Prefecture. To differentiate it from other places named Takayama, the city is also commonly referred to as Hida-Takayama. Takayama retains a traditional touch like few other Japanese cities, especially in its beautifully preserved old town. Toyama (富山市 Toyama-shi) is the capital city of Toyama Prefecture, Japan, located on the coast of the Sea of Japan in the Chūbu region on central Honshū, about 200 km (120 mi) north of the city of Nagoya and 300 km (190 mi) northwest of Tokyo. The authentic city hotel of Toyama which has abundant green and water Toyama is known for the magnificent Tateyama mountain range and delicious seafood from the Sea of Japan. The hotel is located in the luxurious area surrounded by abundant green and close to the business district and the shopping center. The peaceful, comfortable room will decorate your special moment. The Tateyama Kurobe Alpine Route is a unique and spectacular route through the Northern Japan Alps which is traversed by various means of transportation including cable cars, trolley buses, and a ropeway. Completed in 1971, the route connects Toyama City in Toyama Prefecture with Omachi Town in Nagano Prefecture. The main attraction of the Tateyama Kurobe Alpine Route is the magnificent scenery of the Tateyama Mountain Range, part of the Chubu Sangaku National Park. In spring, accumulated snow, especially around the upper sections of Midagahara and Murodo, form a majestic snow corridor whose snow walls reach up to 20 meters high. A section of the snow corridor around Murodo is open to pedestrians usually from mid-April to mid-June. The Tateyama Cable Car is a Japanese funicular line of Tateyama Kurobe Kankō (立山黒部貫光) in Tateyama, Toyama, with its official name Cable Line (鋼索線 Kōsaku-sen). The company also operates another funicular, Kurobe Cable Car with the same official name. The line is a part of Tateyama Kurobe Alpine Route and was opened in 1954. The Mt. Tateyama Cable Cars take you up around 500m in approximately 7 minutes. Near Bijodaira Station you’ll see the bijo-sugi (“beautiful lady cedar trees”), legendary trees for which the region is named, as well as primeval Japanese beech trees. Bijodaira Plain is known as one of Japan’s most nature-rich primeval forests and is a great place for a forest walk or birdwatching. Murodo Station is a trolley bus station in Tateyama. It is situated on Murodo Plateau, 2,400m above sea level. Murodo is the highest point along the Tateyama Kurobe Alpine Route, offering fantastic views of the Tateyama Mountain Range. In summer and early autumn, Murodo attracts mountain lovers with an interesting network of hiking trails of various levels of difficulty, while late autumn and spring come with large amounts of snow. 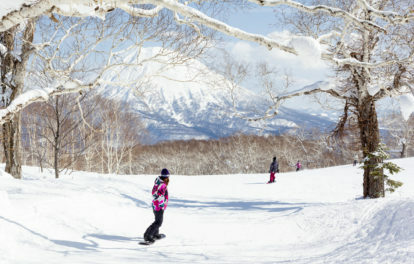 Murodo’s best-known attraction is the snow corridor, a road flanked with up to 20 meters high snow walls when it opens in mid-April after months of heavy snowfall. This 1,710-meter long ropeway covers a vertical gap of about 500 meters and has a capacity of 80 passengers. It provides a comfortable, safe ride with no shaking, maintaining a speed of 5 meters per second. The Kurobe Dam is Japan’s tallest dam at 186 meters. It was constructed over a seven-year period and was completed in 1963. Many difficulties were encountered in the process, and over 170 people lost their lives to the project. The dam has since been supporting a hydropower plant in its supply of electricity to the Kansai Region. It is also a major attraction along the Tateyama Kurobe Alpine Route, especially when water gets discharged spectacularly through its gates daily from late June to mid-October.